The America On Wheels museum provides a unique setting for your events and the opportunity for your guests to dine and dance among vehicles that show the evolution of transportation. 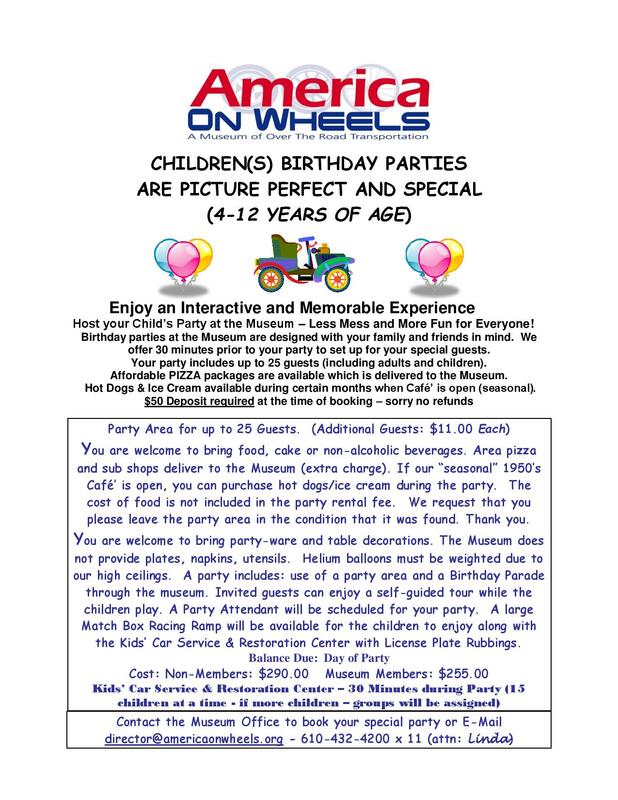 For more information on Children’s Birthday Parties, please click here. For Party Policies, please click here. 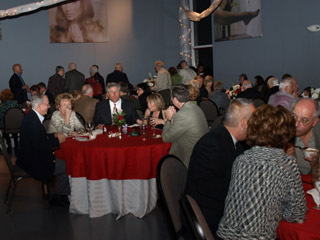 The museum is available for rentals from the time of opening until 10:00pm. Accommodations for early morning meetings can also be arranged. 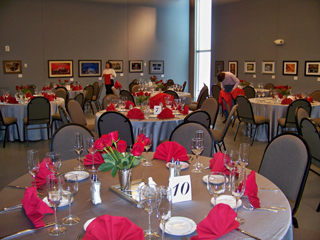 Catering for your event is available through our preferred caterers click here. 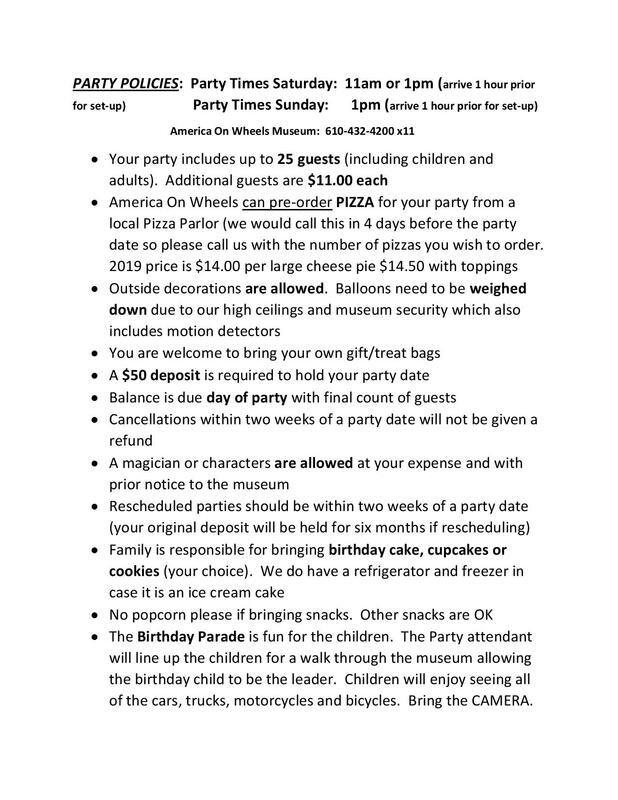 Food service arrangements can also be made or your own however, there will be a $2.00 surcharge for each guest. Liquor or wine may be served, however; the museum does not sell alcoholic beverages. 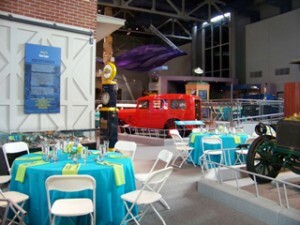 Rent this unique museum facility rental! This 1950 themed room is equipped with a restored 1953 soda fountain from Lyons, Indiana! Sit at the original counter when you host your ice cream float parties or ice cream sundae parties! This room will surely take you back in time for some good old-fashioned fun! Will accommodate 80-100 people with round tables for buffets for sit-down breakfast, lunch or dinner. 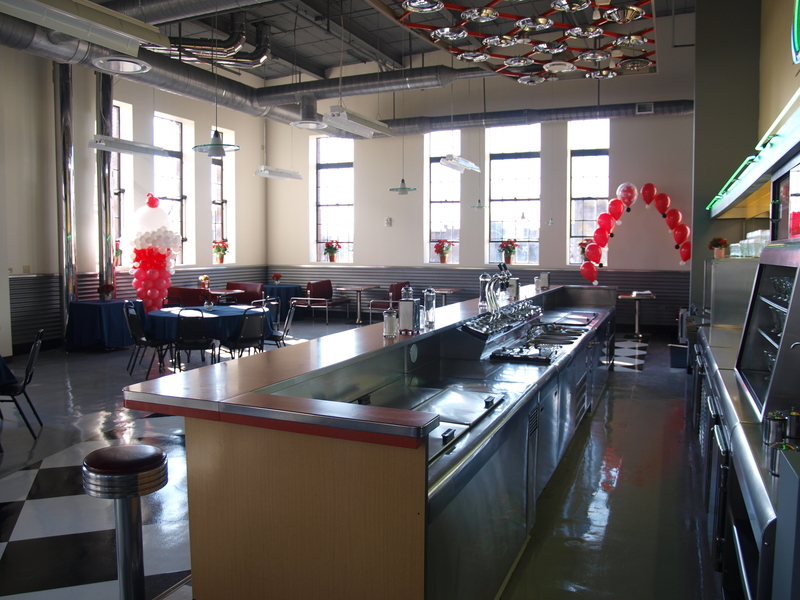 Will accommodate up to 30 people with round tables for buffets or sit-down breakfast, lunch or dinner. Will accommodate up to 40 people with theatre style seating. 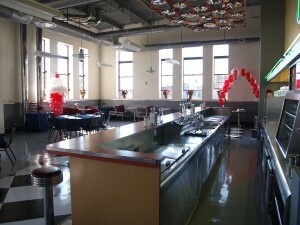 Will accommodate 90 people with round tables for buffets or sit-down breakfast, lunch or dinner. Will accommodate 60-75 people for stand up receptions. Includes use of all galleries (Main Gallery Exhibit, North Gallery, South Gallery, Changing Exhibit Gallery), Concourse HubCap Cafe, The Long Haul Room and Orientation Theatre, admissions desk and visitor entry area. Includes use of all galleries (Lobby/Corridor Gallery, North Gallery, South Gallery, Changing Exhibit Gallery), Concourse, HubCap Cafe, The Long Haul Room and Orientation Theatre, admissions desk and visitor entry area. For information or reserving a room or date please contact Liz at 610.432.4200 x10 or email us.